It took pouring my smoothie into my purse before I realized I was overextending myself. One morning I poured a protein shake into my purse. I’d been up early—already hit the gym, showered, folded laundry, dried my hair. I was running downstairs to make breakfast for the boys, get the cooler packed for our lunch between activities, and get us out the door. Our schedule was full, my mind was full, my hands were full. But I was feeling pretty good—after all, the sun was barely up and I’d already had a pretty productive day. Yet as I attempted to drop a sweater into my bag, I watched, in confusion and disbelief, as I instead turned my glass over and poured out the rest of my shake. I saw it happening and couldn’t even stop myself. This is always the way when I’ve taken on too much, tangibly or mentally. Pouring a shake into my bag is just a start. I’ve driven off from a gas station with the hose still attached to my car. I hop out of my car without putting it in park and turning it off (this is how I repeatedly drove into the building at my seminary that housed our mailroom). I mess up dates—wrong months, wrong years—and you might notice that I’m swapping out words and phrases in sentences, essentially speaking gibberish. I can’t locate my vehicle in any parking lot, and you should eat my cooking at your own risk. Halfway through the process, my mind slipped elsewhere to tackle a problem and I cannot tell you what has gone into that pan. These are warning signs to me. They’re each a big red, flashing light signifying that I need to take a step back. My brain has gone into hyper-overdrive and is starting to malfunction. It’s a bit unsettling, isn’t it? You probably have other warning signs, the invisible ones only you know about. Shoulders and neck aching from constant tension. A dull, unyielding headache. And, my personal favorite, grinding your teeth day and night. You’d think that physical pain would stop us in our tracks, but somehow we’re able to trick ourselves into believing it’s a separate issue. It’s preferable to think we simply slept in a strange position rather than admit we’re coming a bit undone. We’ll just pop a painkiller and keep going, right? Or maybe you’re like me and you’ve gone to the doctor, sure something is wrong, and it turns out that you’re “so tired all the time” because you’re regularly working until 2:00 a.m. Or your jaw hurts not because you have tetanus, but because your frenetic pace has you clenching day and night. We almost prefer that everything physical is just that: physical, completely out of our control. We prefer to just pick up a prescription or assume there’s nothing we can do—because evaluating our own choices and lifestyle is really uncomfortable. It’s hard work. But there are times when our pain, our recurring problems, are physical manifestations of emotional issues. And there are times when our bodies are breaking, trying to tell us—maybe even screaming at us—that they need a break, rest, care. When we ignore our body’s signals—the aching back or the inability to keep track of our keys—we’re headed for disaster. Maybe it’s undealt with emotional trauma, maybe it’s a pace that never allows rest, or maybe it’s tension from living under too much pressure. 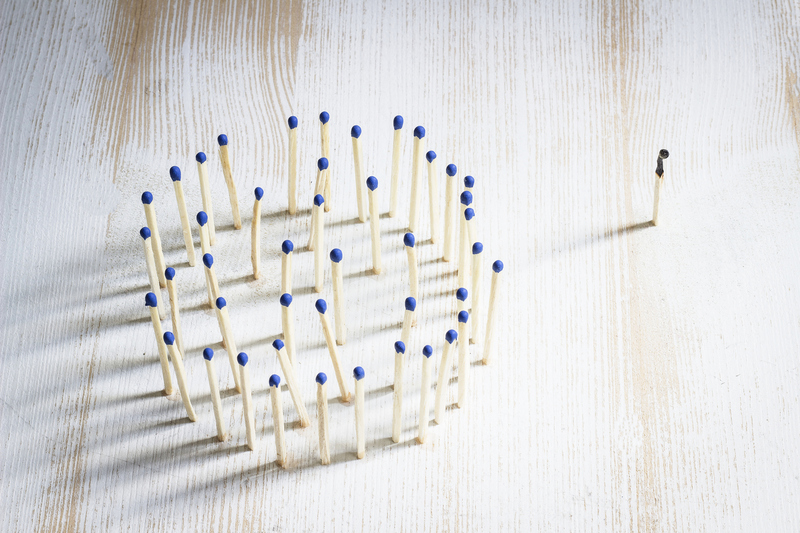 Whatever it is, your body is off-kilter and it’s only going to get worse if you don’t deal with the underlying issue. Your body might be tapping you on the shoulder now, trying to get your attention. But in a few months or a few years, that tap is going to grow into a full-on smack as the situation becomes more serious. We don’t have to wait for a medical meltdown or for years of unknowable symptoms—we can begin now to listen to our body, to pay attention to the warning signs. We can pause, evaluate. Where do I need to pull back? Where am I overextending myself? In what way am I dwelling in anxiety? While I could do without the occasional rash flare-up—and I’m sure none of us enjoys the ache of a tense jaw—these things can save us, if we’ll just listen and respond. Taken from The Bright Life by Jen Wise Copyright © 2019 by Jen Wise. Used by permission of Zondervan. www.zondervan.com. 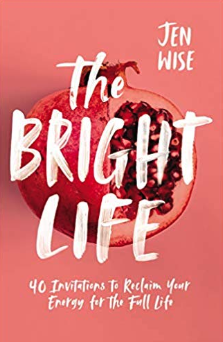 Jen Wise is the author of The Bright Life. Connect with her at restorationliving.org.